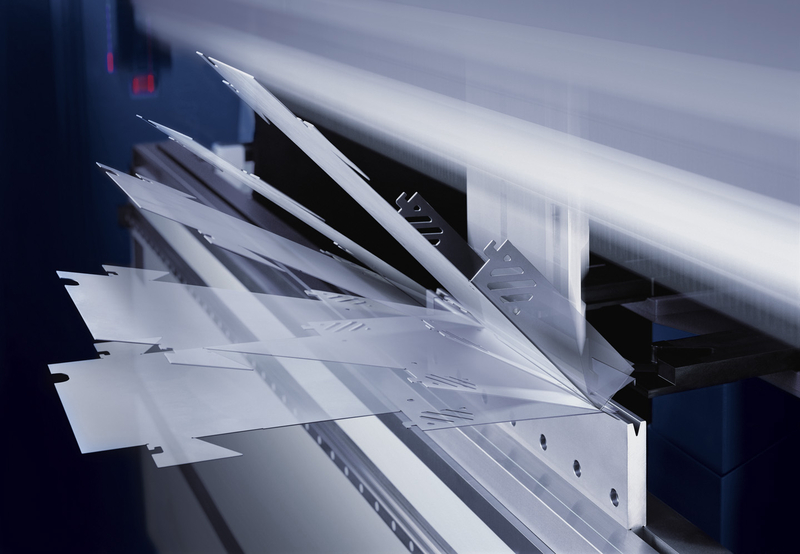 Always in search of technological evolutions aimed at providing excellent bending, geometrically precise and repeatable, press brake manufacturers propose more and more efficient and performing machines on the market, glancing at industry 4.0. Concerning bending, there are no strategies universally codified to obtain, univocally, a reasonably complex geometry, in the same times and with the same precision. Not to mention the raw material to be machined, whose qualities, tolerances and mechanical characteristics can vary, unavoidably exerting the effects on the final machined part. Therefore, several are the directions towards innovation undertaken by manufacturers in time. With the only purpose of facilitating the operator to minimize error possibilities, to make the sheet metal deformation and the attainment of a bend increasingly precise, in repeatable, efficient and safe manner and in short times, for wider and more diversified applicative diffusion. Certain support provide the diffused sensors, which have allowed making the control and the management of all of its phases more controlled and precise, in proactive way, too. Data and information that can supply not only the by now consolidated operational traceability but that, through opportunely codified models, also permit to implement predictive maintenance strategies to solve in advance expensive and undesired downtimes. In one word: Industry 4.0. The state-of-the-art has allowed in time an increasingly wide and diversified use of press brakes. It is sufficient to look around, in fact, to see manufactured goods, items subjected to a more or less complex bending process for their implementation. If, as we have seen, the technological evolution has allowed, and keeps on generating, an important progress, it is still undeniable the importance of the operator, of his experience and of his capability of providing exact information and indications for the machine programming, depending on the results we want to obtain. Knowledge that mandatorily converges towards some key elements to be always considered in bending: the feasibility in the fastest possible manner, according to the desired quality, the developing of parts to be processed, the estimate of the material elasticity, the control of the bending radius. Concerning the piece developing, due to the deformations occurring in the bending process, the piece length does not coincide, in fact, with that of the median fibres of the bent item. The fibres that preserve the original length (neutral axis) are generally displaced towards the curve interior and their position depends not only on the material quality and thickness but also on the bending radius. Bending radius that, if excessively small, can be the direct cause of undesired cracks on the tension side and, consequently, of the reduction of the piece resistance to mechanical stresses. The minimum admissible radius varies according to the nature, the state of the material and its thickness as well. The attainment of determinate geometrical tolerances of the bent item depends finally on the material elasticity, i.e. on the spring-back. The sheet metal, in fact, after bending, shows a spring-back (i.e. a partial straightening), so that the real bending angle is bigger than the theoretical one. The spring-back is due to the fact that, next to the neutral axis, the material has undergone only small deformations that are elastic. Zones, the latter, that when the load finishes tend to recover their primitive shape, involving also the zones stretched at the yield strength or beyond. The spring-back entity depends on several factors, including the intrinsic mechanical peculiarities of the material, the entity of the stresses that have exceeded the elastic limit around the neutral axis, the sheet metal thickness, the geometry of the punch and of the die, just to mention the main ones. 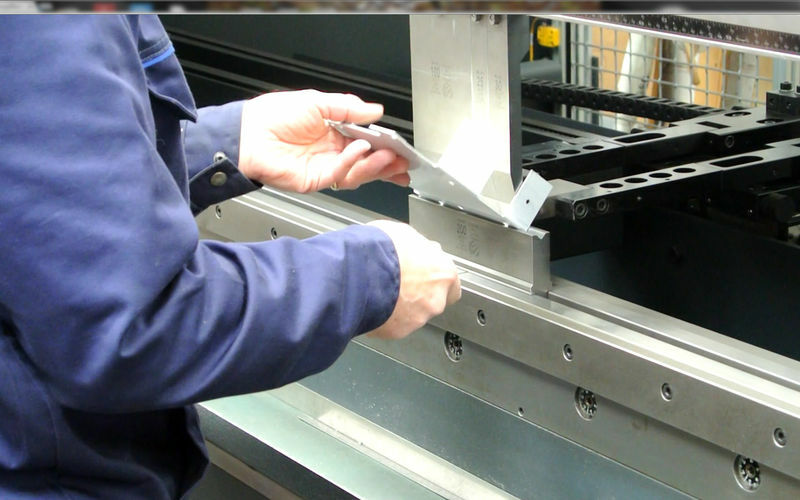 You can find more information about sheet metal bending on our website! Please read an article "Software helps fabricators boost forming throughput"
Plastic deformation machining, the bending allows attaining elements with open section, essentially blanked in the length direction. It consists in subjecting the sheet metal to a bending stress with a load exceeding the limit of elasticity, to deform it permanently. The “V” bending is notoriously the most diffused technique for the sheet metal bending and depending on the punch stroke, is subdivided as follows. Air bending: the punch does not reach the die bottom, so that the bending angle of the sheet metal is inferior to the characteristic angle of the “V” die. Advantages: it requires low bending force; it allows bending big thicknesses, varying the depth of the punch stroke it is possible to attain bends with different angles, without changing the die. 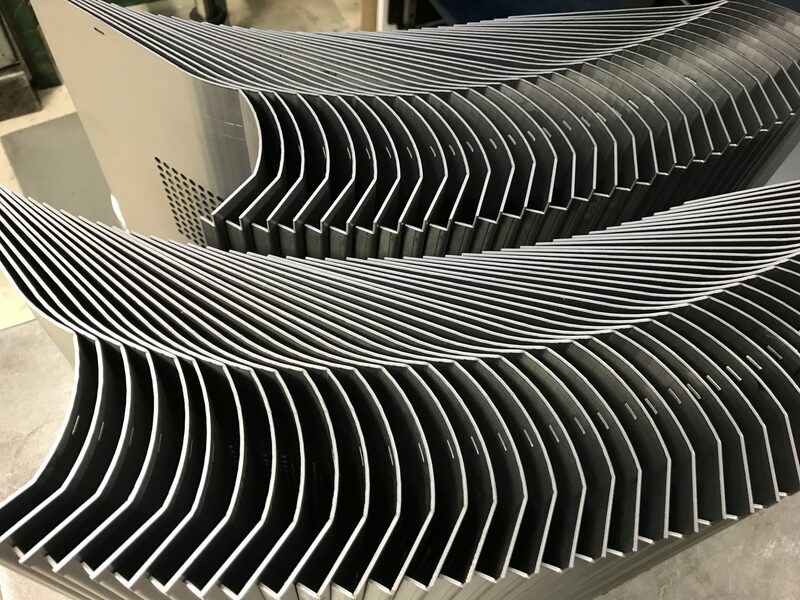 Disadvantages: the bending angle is influenced by the spring-back of the sheet metal; to attain the desired results, sheet metals with constant thickness and resistance often become necessary. Coining (at die bottom): the punch reaches the die bottom, so that the angle taken by the sheet metal is equal to the characteristic die angle. Advantages: the coining of the inner radius annuls the spring-back of the material, conferring high precision of the bending angle, it allows achieving smaller bending radii in comparison with the air bending technique. Disadvantages: it requires high bending force (4-5 times the one needed by the air bending technique); it needs different tools for each angle and shape. It is instead the fruit of a process that develops in 2 phases the “hemming” (known also as edging, flattening), actually consisting in the sheet metal flattening, technique applied to obtain the manufactured good stiffness, protection of edges and to avoid sharp corners. Generally carried out with dedicated tools, it provides for a first pre-bending phase, exploiting the air bending technique, followed by a successive hemming phase (total or partial). Over the last few years, machine manufacturers have evaluated the possibility of configuring robotic plants. What advantages? What opportunities? What elements worth considering for a winning choice? A lot undoubtedly depends on the type of company, on its sizes, on the prevailing typology of job orders and the supplied sectors. Once identified the typology of pieces to be processed, for the latter must be defined a likely range reporting the average number of bends and the feasible number for the manual execution in the time unit (one hour). All that considering the average times of tooling, programming, changeover, loading/unloading. Due focus also on the number of machine operators and their cost, on the possible shifts in the company and yearly working days, in addition to the cost of the press brake and the longed for revenue for each bend. These data must be compared with those attainable with a robotic plant (number of pieces that can be bent every hour etc. ), taking into account the benefits in terms of unmanned operation and lower number of necessary operators. Production and economic data (with the possible addition of eventual more precise items concerning leasing, interest rates and so on), whose synthesis allows the evaluation of how the eventual investment can provide higher revenues, making use of a manual or of a robotic process. Vimercati press brakes of the e.Terna range are an innovative and extremely flexible product, oriented to “4.0 bending”. A system that can be installed on all models in production, with machines equipped with Siemens motors operated by an inverter, coupled with a Pressure Control system able to adapt pressures and speeds in real time. In this way, consumptions are optimized twice because on one hand the inverter, coupled with a high-efficiency pump, controls the main motor (and it activates it only when the machine starts running) and, on the other hand, the mentioned Pressure Control system grants the saving also during the machining phases, providing only the force needed for bending. The oil overheating notably decreases, too, improving the duration (the replacement is scheduled after about 20,000 hours of real operation). Even 50% of energy saving is instead calculated on critical bends in comparison with a conventional system. Also the CNC is equipped with new functions allowing the operator to monitor and to collect a series of useful data and parameters, including: the pressures visualized by digital manometers, energy consumptions, through a simple test that allows controlling the system efficiency in real time; a page dedicated to subcontractors, useful to assess in real time the production costs of the parts produced by the machine and to introduce them directly into the company’s managerial software. Moreover, the possibility of connecting the press brake in net favours the tele-service and facilitates the production: by means of an office program, which can be installed on any PC of the company, it is possible to process the technical designs of the pieces to be implemented and to transfer then them directly on the machine. 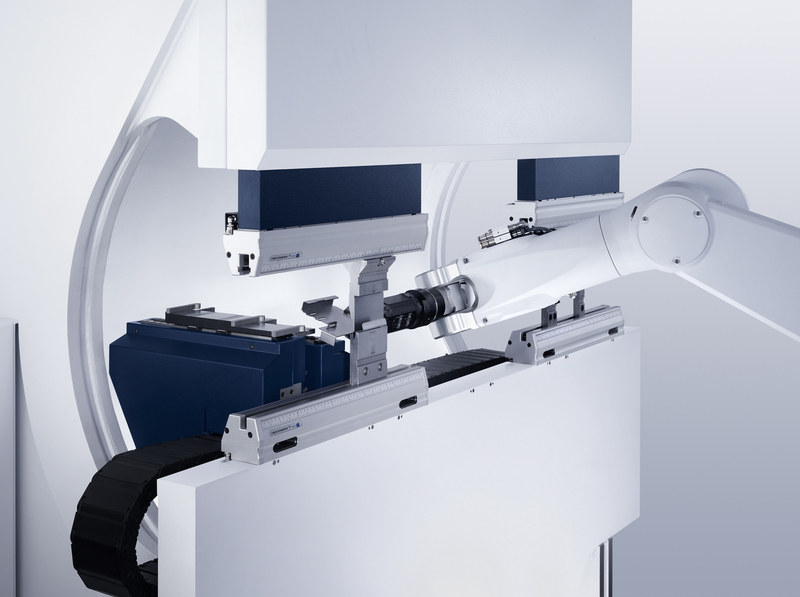 In this way, the operator can focus on the only bending operation, avoiding manufacturing delays caused by a long programming. The operator can also download and save the new parameters for the successive machining. As an example of the above mentioned software, Dreambird gladly recommends a standalone Radbend solution from Vero Software - a global leader in CAD/CAM products for sheet metal industry. Radbend is the market leading solution in offline programming for press brakes.